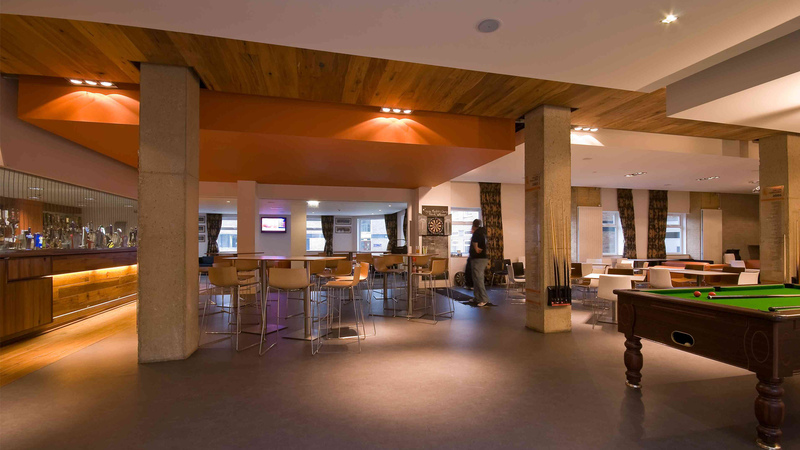 At Lancaster University the college bars are integral to the campus and individual to the colleges. 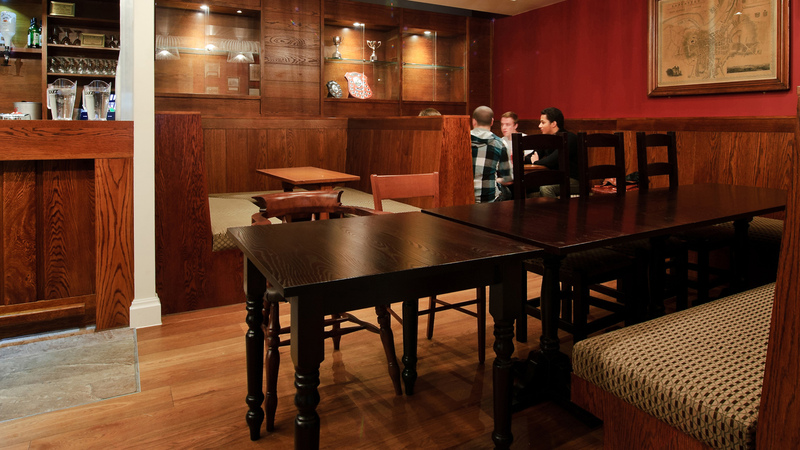 Wilson Mason have refurbished several of the bars on the campus including: County, Bowland, Furness, and Fylde. All have their own particular idiosyncratic identities. The architectural challenge was to present the differences and distinctiveness of each bar. 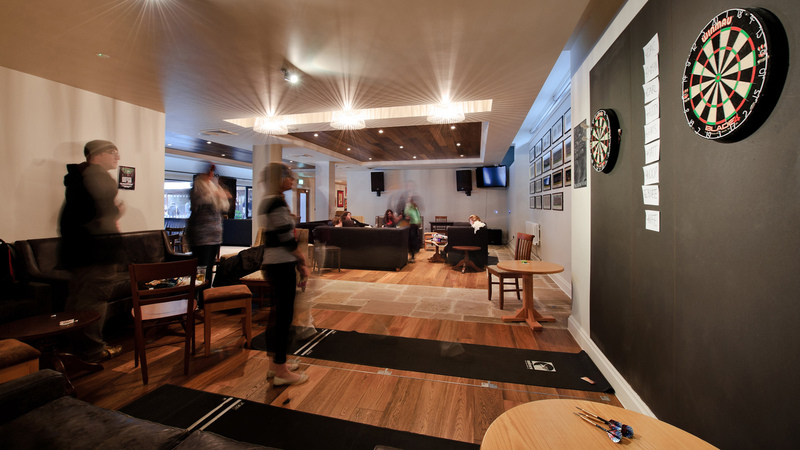 For instance, Bowland Bar provides a contemporary interpretation of the ‘local pub’, set in a key location close to the conference centre and accessed from the central courtyard. It was considered important for the new interior to appeal to staff, students, and conference delegates. The refurbishment incorporated contemporary elements within the ceiling and lighting schemes, whilst also embracing traditional materials and furniture used in a modern way to provide its unique character. 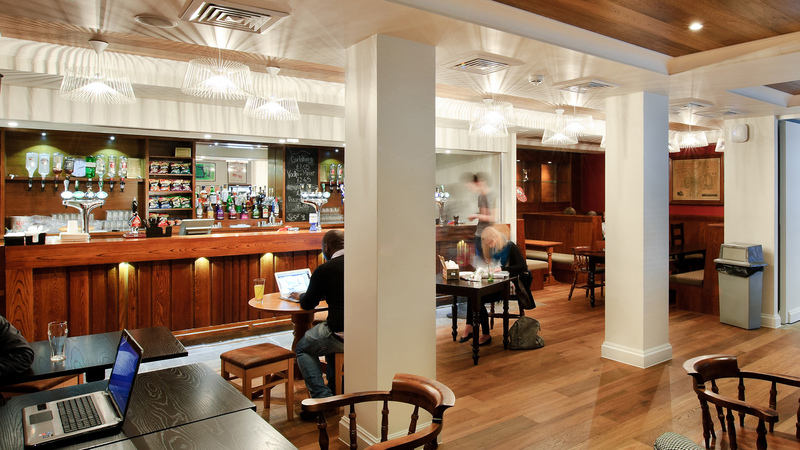 In Fylde Bar, the interior proposal was developed through detailed consultation and liaison with the college. 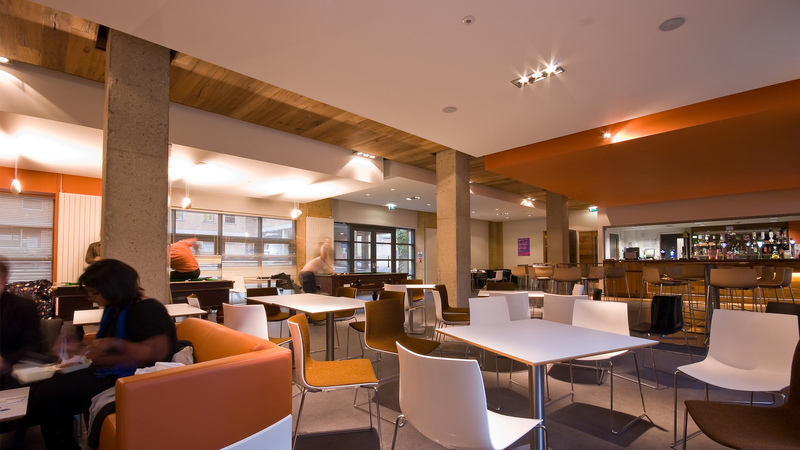 The ‘warehouse’ aesthetic involved sand blasting the existing brick walls and columns to achieve a distressed look which would also provide a hard-wearing finish for the student environment.